Taiawatea is a Ngāi Tahu rangatahi fund, which aims to help shape rangatahi who are strong, vibrant champions of Ngāi Tahu culture. It also aims to empower Ngāi Tahu rangatahi to connect and express their leadership in Ngāi Tahutanga. 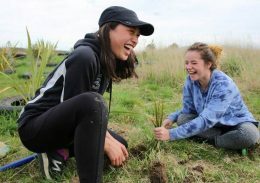 Rangatahi who are aged 13-25 can apply for funding to start cultural projects aimed at strengthening their Ngāi Tahutanga; and or to support their attendance at regional and national cultural events. The inspiration behind the name of this fund came from one of the Ngāi Tahu Funds Committee board members, Piri Sciascia. “Our rakatahi are the tide of the new day – Te Tai Awatea. For Kāi Tahu, Taiawatea is ever the new dawning tide, as is the taiahiahi the ever nightfall tide, representing incoming and outgoing generations of our people” – Piri Sciascia. Mana tangata – self-determination and self-confidence. *As the Fund is likely to receive requests for more funds than it can provide, priority will be given to projects that the Ngāi Tahu Funds Assessment Committee considers best meet the Fund criteria. Applications will be considered from registered Ngāi Tahu rangatahi aged 13-25 and Ngāi Tahu associated groups that are made up of registered Ngāi Tahu members (rangatahi aged 13-25). The full criteria for accessing Taiawatea funding is contained in the Taiawatea Application Form. Please note: This application is an editable pdf. Please remember to download the application to your computer and send it back to us once it is completed. If you fill out the application online without saving it to your computer first, you may lose all of your information.